The latest digital cameras generally take great pictures of the kids with just a little know-how. 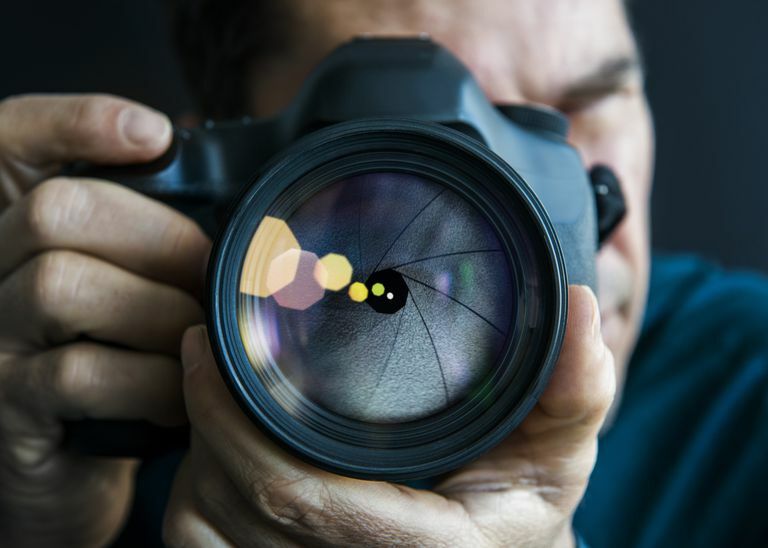 So whether you are a “point and click” kind of dad or you like a single lens reflex digital variety, you can find a great digital camera recommendation here. This camera is one of the top rated cameras by dads we spoke with and is also highly recommended by Digital Camera Guide Michael Carr. It is a 12.1-megapixel camera with a 35x optical zoom for getting those closeup shots during soccer games or at a recital. It offers great quality and easy to use controls, including 25 pre-programmed shooting modes. This 12.1-megapixel digital camera is an excellent choice for fathers. It has a 30x optical zoom that will amaze you with its capabilities for getting up close and personal. It is small enough at roughly 4 inches by 2 inches to fit into your pocket or backpack and be ready for action. It also records high definition video that can be played back on your HD TV. Several dads with this camera love the electronic viewfinder, which helped them take better quality shots than with other digital cameras they had tried. This camera is a well designed and popular SLR digital camera. It is very easy to use, fast starting and offers 10.2 megapixels and a 2.5 inch LCD display. It comes with a Nikon starter lens (18-55 mm) and can accommodate any AF-S or AF-I lens. This is one of the and simplest digital SLR's my camera-happy friends recommend. As a single lens reflex (SLR) digital camera, the Rebel T6s has tons of features and flexibility. It is a smaller SLR at 4 inches by 5.2 inches and 3.1 inches wide (not including lens), but larger than you can fit in a pocket. It has a 24.2-megapixel CMOS sensor allowing it to take truly superb photos. It has built-in WiFi so it can connect wirelessly to printers, monitors and more, and can upload to social media instantly. One of the only downsides dads mentioned was that the battery life is too short, so bring extra battery capability along. For an ultracompact digital camera, the DSC-T50 is hard to beat. It has a 3 inch LCD monitor and 7.2-megapixel resolution. One of the things we love about this camera is the touchscreen monitor—just touch the icon for the feature you want to activate—no scrolling with arrow keys over and over. A very functional but affordable digital camera from Fuji, the Fine Pix HS30EXR offers 16-megapixels and a very easy to use technology for photographing human faces that make excellent people-picture taking almost effortless. For dads who want lots of pictures of the kids, this is a great camera. If you are looking for a pocket-sized digital camera with 12.1-megapixel resolution (10-megapixel) and convenience, the Coolpix P5000 is a great choice. The 2.5 inch LCD monitor is very bright and great for outdoor pictures as well as indoor. It has a 3.5x zoom lens, which works well in most settings. And it is more affordable than many other cameras of similar resolution and quality. This is a very versatile camera for dads wanting to take photos in all situations. If you are looking for a great point and shoot digital camera with exceptional responsiveness, the P880 is an excellent choice. The camera has an incredibly fast click-to-capture time, making action shots easier than with other models. It works great for sports shots as well as capturing that perfect dance photo at the competition. If your children are active and you want a photo memory of their activity, this is a super option for you. This camera from Sony has a 15x optical zoom, letting dad get great shots from far away. It has 9.1-megapixel resolution and a 3 inch LCD monitor for dads who like seeing a larger version of the digital viewfinder. It is very easy to use, and can either capture images to a photo card or in its 32 MB internal memory and subsequently to a memory stick, which is a nice feature. The Ricoh GR II is a favorite camera among fathers looking for an easy to use, point-and-shoot camera option for taking pictures of kids in almost every situation. It has 16-megapixel capability and a built-in wide angle lens. It is small and lightweight, making it perfect for taking along on trips, to soccer games and more. It also has WiFi capability, but some dads we talked to were not all that impressed with it, compared to other cameras they used. It will also pair with a smartphone but doesn't have a dedicated app, which several of my experts missed.